French Press Coffee & Tea Maker Complete Bundle Just $24.84! Down From $72! You are here: Home / Great Deals / Amazon Deals / French Press Coffee & Tea Maker Complete Bundle Just $24.84! Down From $72! Amazon has this French Press Coffee & Tea Maker Complete Bundle for just $24.84 (Reg. $72)! 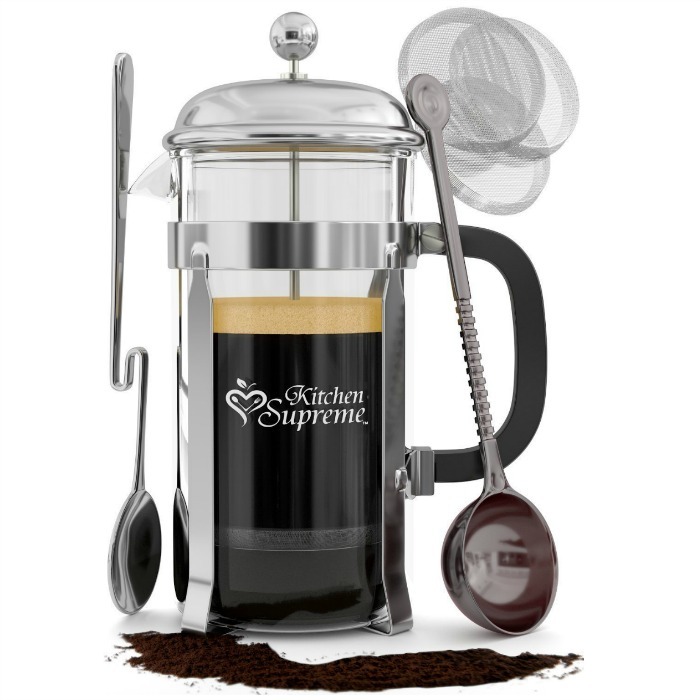 With the Kitchen Supreme French Coffee Press you can make coffee, tea, frothed milk, hot chocolate, fruit infusions, almond milk, cashew milk, plant tinctures and many more … and yes, those Instagram pictures will look so great!